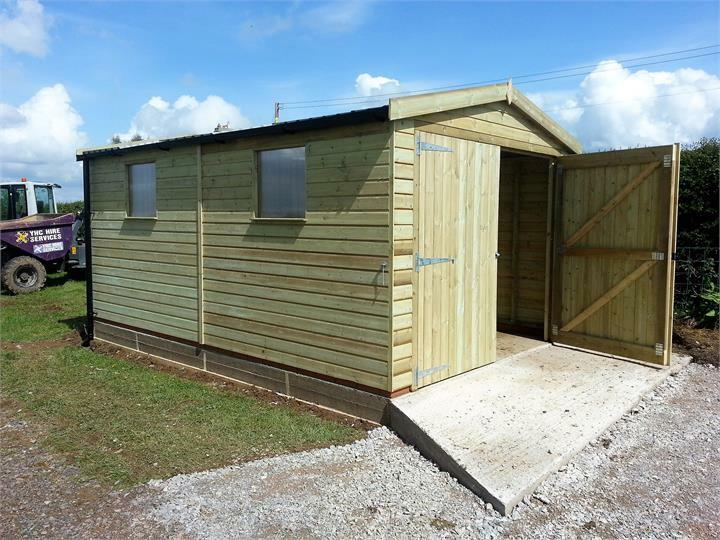 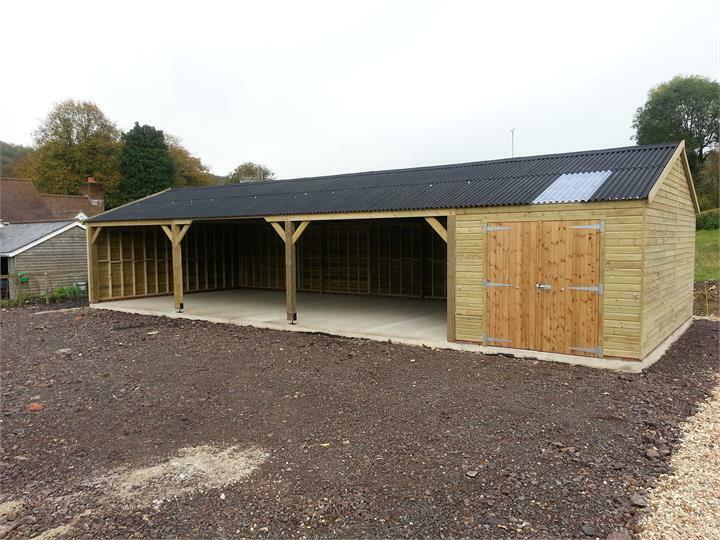 Our range of quality timber garages and workshops are built to our highest standards and blend in with all environments. 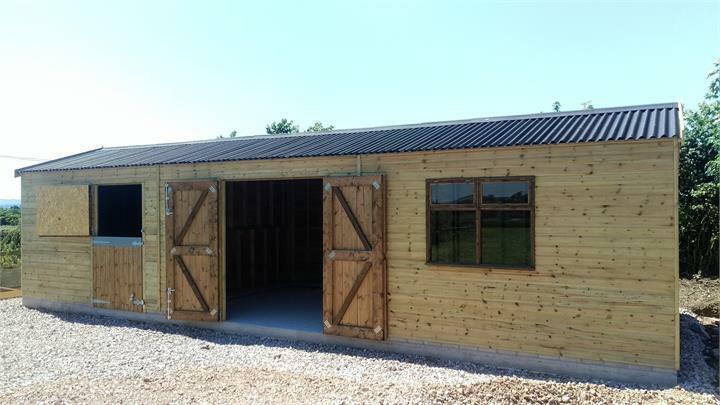 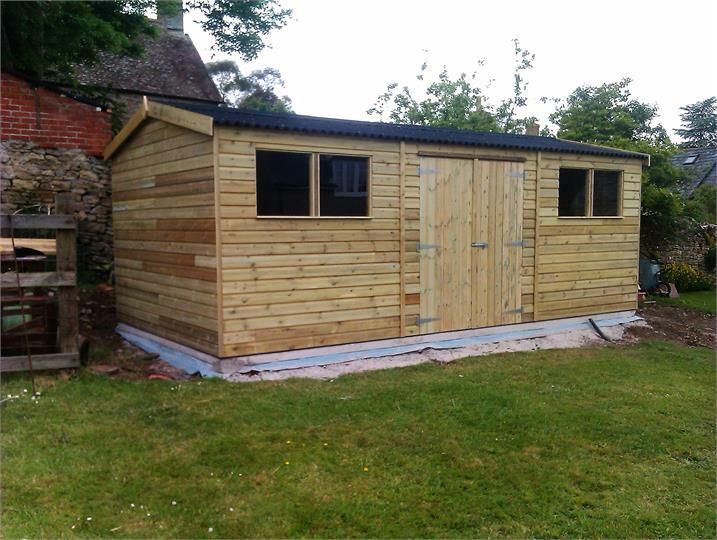 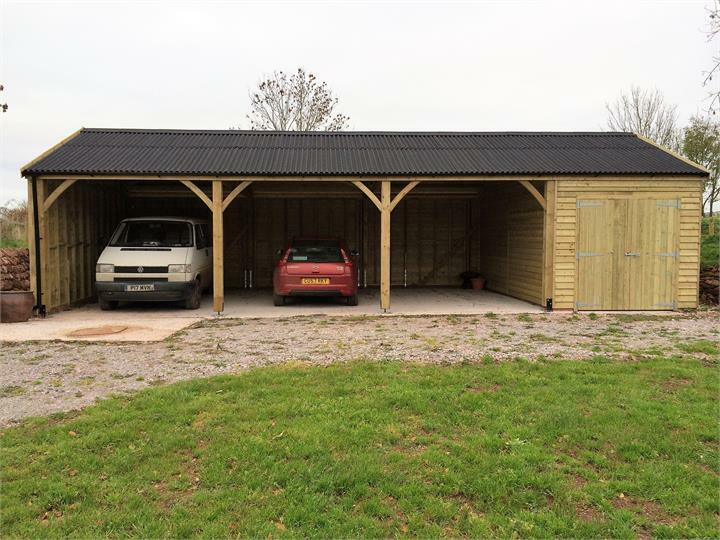 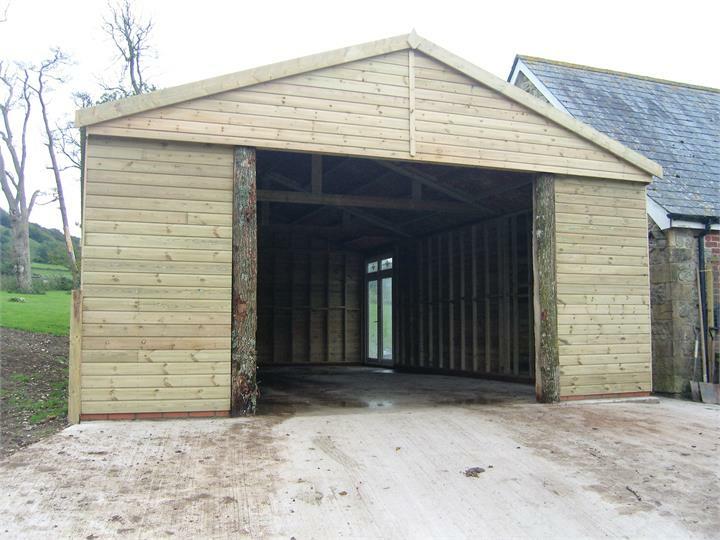 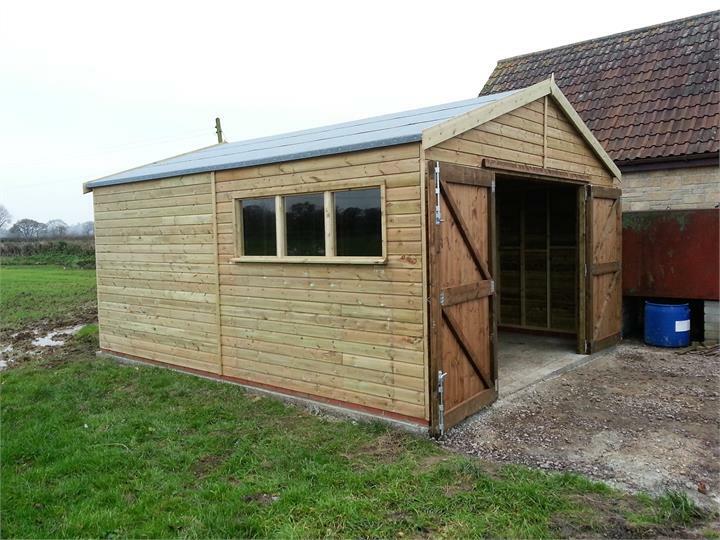 A timber garage or workshop is inherently condensation free, they have natural insulation and are easily heated to provide ideal vehicle protection and a more usable winter workshop. 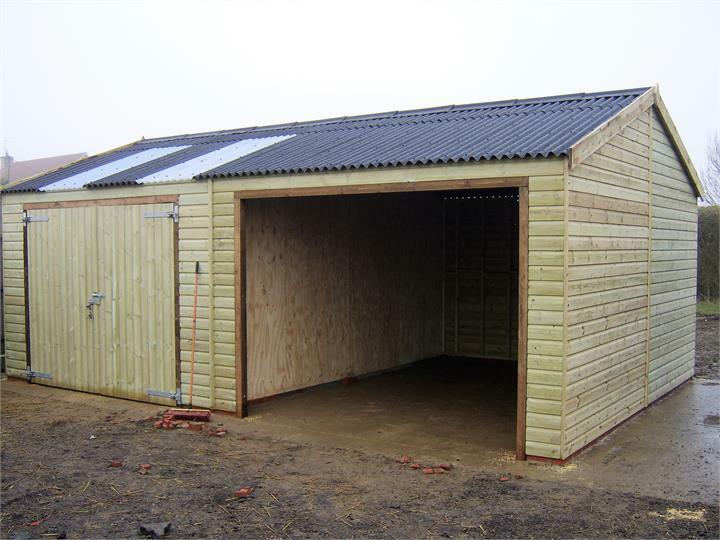 Buildings are available in spans of 3.0m - 7.2m (10'-24') and in virtually any length. 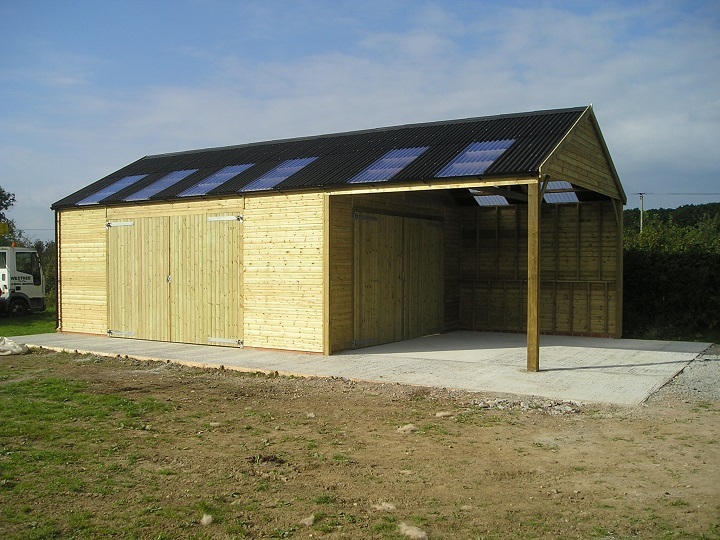 Our buildings are supplied with 19° pitched roof and covered with Onduline or Felt. 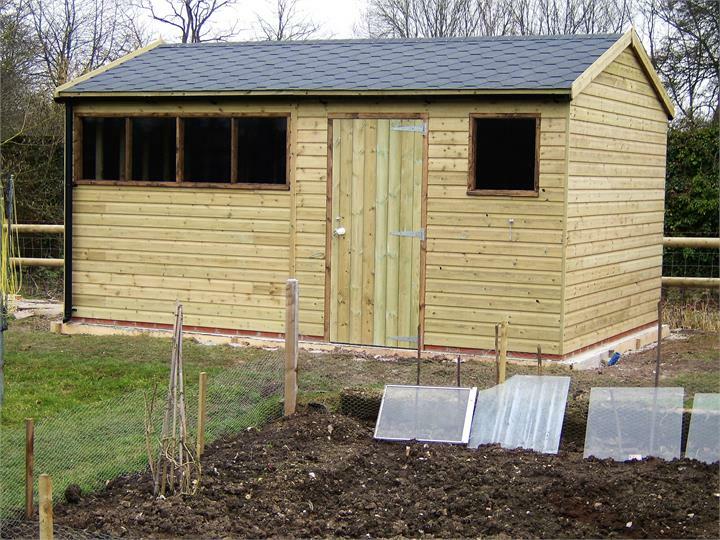 Our buildings can be modified to accept tiles or slates to suit your environment or location.